After two months of work, six days a week, it was a bit relieving to have three days off for Diwali. 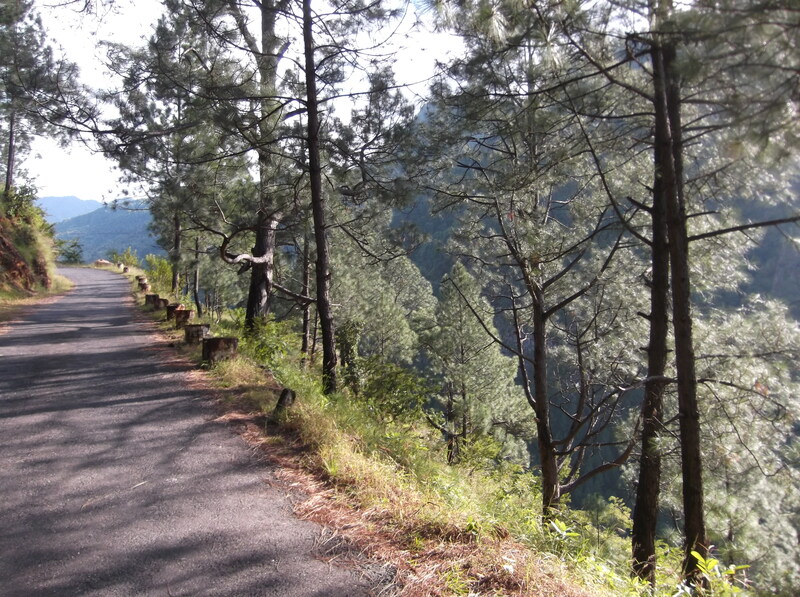 Three days that were spent in the valley of one of the four holy tributaries to the Ganga river, the Aleknanda river. In the upper end of the valley is Badrinath. The holy shrine in Badrinath is one of four temples making up the char dham yatra, considered to be one of the most holy pilgrimages for hindus. Situated right below the majestic snow covered peak Nilkantha (6,596m) and on a hot spring in a barren landscape, one can easily get a sense of the mystic character of the site mentioned already in the Sanscript epic Mahabarata over 2,500 years ago. 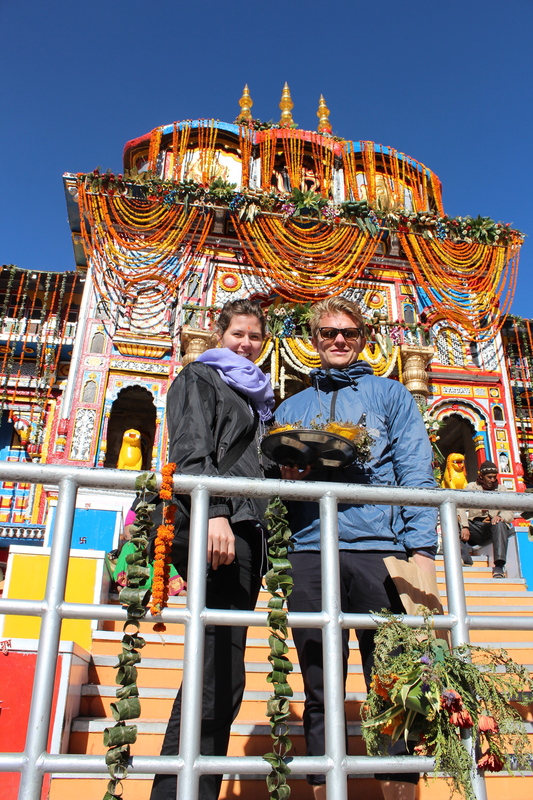 Me and Isabell in front of the Badrinath shrine. Women of the Bhotiya tribe washing in Mana village. The last outpost before the Chinese (Tibetian) border. 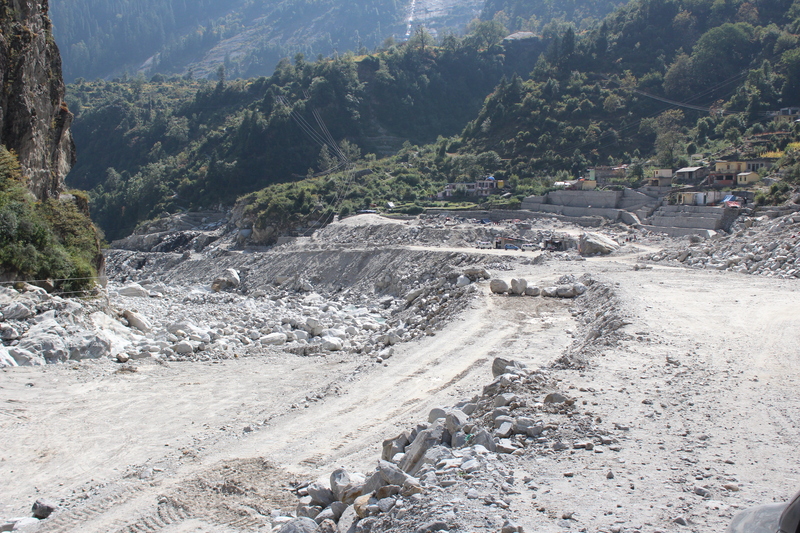 When going by car upwards along the Alaknanda River towards the holy site of Badrinath, as much as we are astonished by the dramatic alpine landscape, we are also reminded of the disaster taken place here last summer. 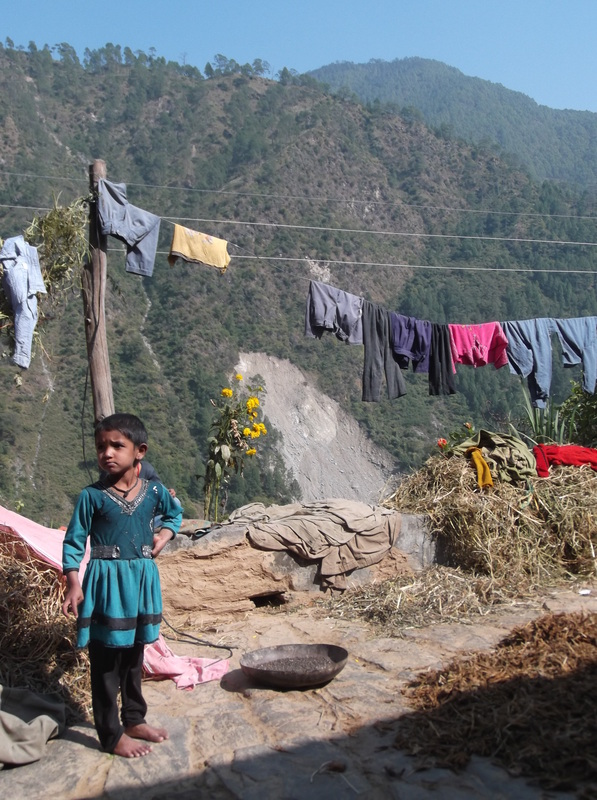 Arriving two weeks early, the monsoon of 2013 hit Uttarakhand fiercely and by surprise. Thousands of lives were wiped out, whole villages were washed away and tens of thousands of people were displaced. 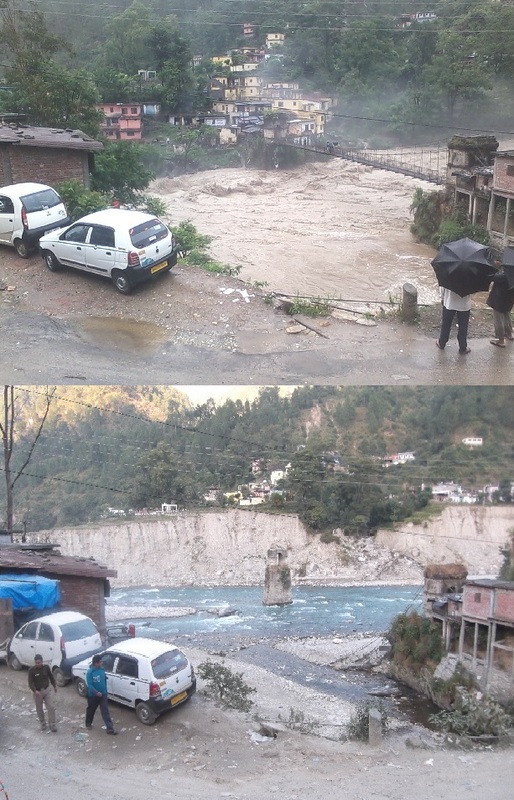 Of course would the torrential rains and the deluges in themselves have caused havoc, but a common view is also that the over exploitation of the river valleys in the area further added to the disaster. 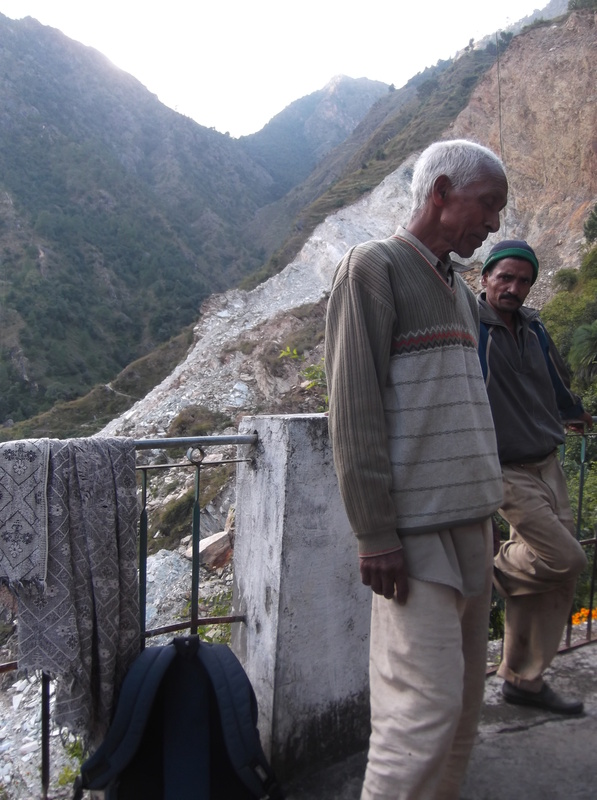 The ecological pressure on the Alaknanda valley caused by the increasing population is further exacerbated by the many devotees doing the pilgrimage, which amount to around half a million a year. But as this pilgrimage business is putting an ecological pressure on the valley, it also brings alternative income generations and a more developed infrastructure, at least in comparison to the neighbouring Pindar valley were we now have spent three weeks. More on the causes and consequences of the 2013 monsoon can be read in the blog posts of former intern Petter. 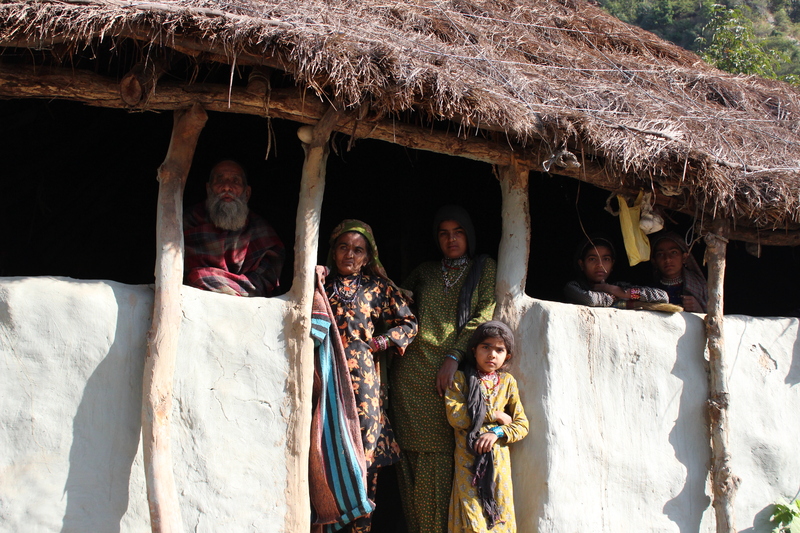 Only a few houses left in a village on the Aleknanda river bank after the 2013 monsoon and the subsequent floods. 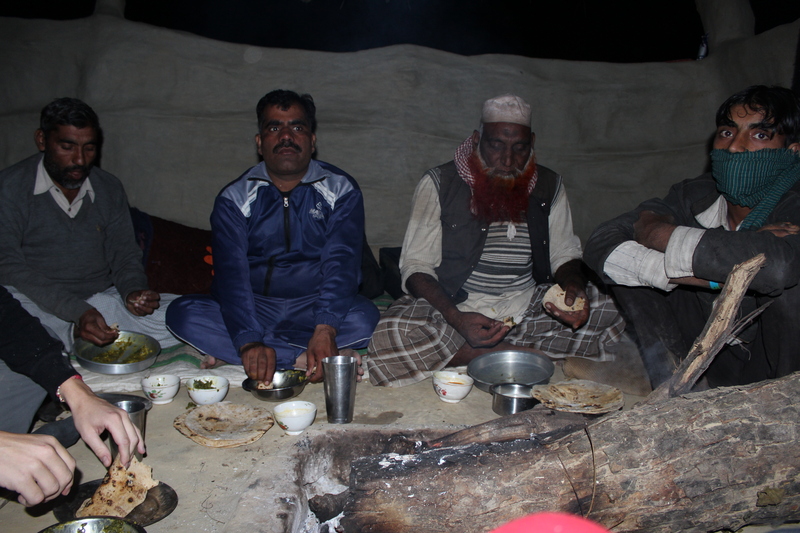 Now back in Narainbagar for a last week of village meetings and outlining a work plan for the coming weeks, our friend Prashanti just arrived himself from Badrinath telling us that he had to escape Badrinath two days early driving in a blizzard (!). Quite thankful we left Badrinath just a day before the snow would have caught us. 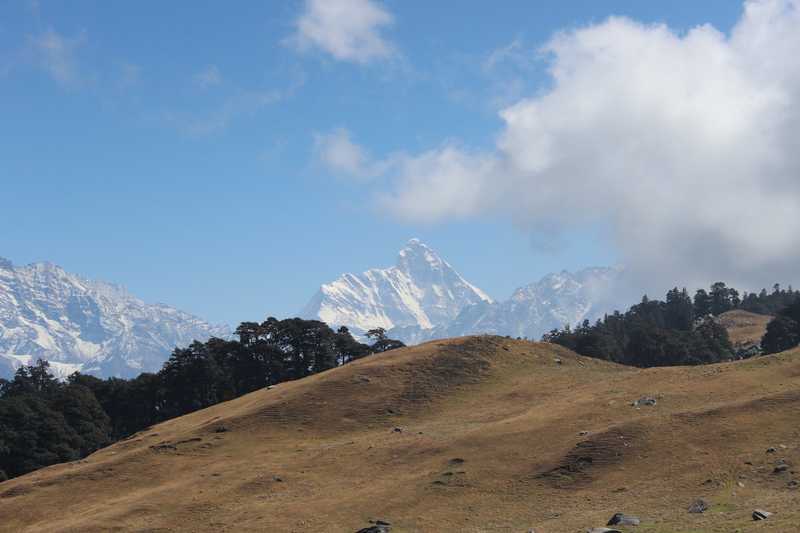 Nanda Devi, second highest peak in India reaching 7,816 meters. The official death toll amounted to 580 while death ceritificates were issued for 4,120 more people still missing five months after the disaster. Represented here by D. Raghunandan, president of All India People’s Science Network.